Blu-ray players have come a long way since their inception. The great debate used to be about which format would be the dominate plaform: HD DVD or Blu-ray. Blu-ray emerged the clear victor in that battle. Now these players do not simply play movies, they provide access to more technology than ever before. You can stream media, such as NetFlix, directly to the device, providing access to television shows and movies like never before. Today’s Blu-ray players also offer customers access to YouTube and social media sites, such as Facebook and Twitter. The Samsung BD-C6900 is one of the best Blu-ray players on the market and, according to CNET’s Matthew Moskovciak, the device received four-out-of-five stars. 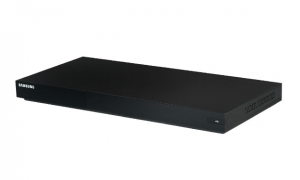 Blu-ray DVD players are now coming equipped with 3D capabilities, including the C6900. As each year passes and technology continues to grow and improve, the dominant format for DVDs will continue to adapt and offer customers more and more.